Discussion in 'The Perfect Line and Other Riding Myths' started by DesertPilot, Aug 16, 2018. When is Yamaha, Suzuki, Honda, or Kawasaki going to make a machine (“Ho! It’s Scrambuleru!”) to go head-to-head with the Ducati? Sal Pairadice, choppahead, longslowdistance and 1 other person like this. thechief86, REALGRAVEROBBER, scfrank and 2 others like this. Every bike made except supersport bikes with clip ons already is a gravel bike. MiketheTexan, alvincullumyork, Webman and 24 others like this. DL650/DL1000. They get bagged for the lack of ground clearance but they really shine on gravel roads. Hamamelis, Shekinahglori, REALGRAVEROBBER and 10 others like this. KTM 390 Duke looks like it would kick azz on street or smooth dirt road. There is one in the Fleamarket right now, basically brand new and priced to sell! Check out the Aprilia Dorsoduro. They have grown to a 900cc supermoto with ABS, but back in the early years (2009-2013-ish) they were non-ABS and 750cc. They are down in the $4K-$5K range now. I have done everything from mild singletrack to track days on mine. The adjustable throttle map can be set to a calm "rain" mode for use on gravel, and it still spins the tire in every gear. I've tried a bunch of different tires on mine. Off road knobbies. Looks cool, but dangerous on asphalt. Track day wheelset. Yeah, baby! Buckstoy, Shekinahglori, thechief86 and 12 others like this. mitchxout and Ginger Beard like this. 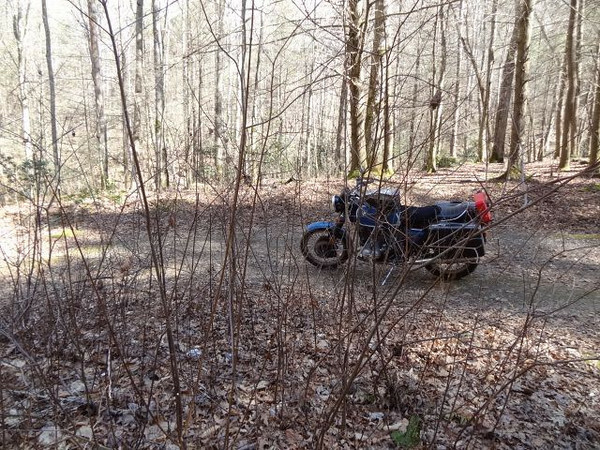 This old street bird LOVES unpaved roads and even trails. It thinks it is a dirt bike. Ground clearance be damned. It drags its undercarriage with impunity (so far!). RowBust, Bigger Al, pratered and 9 others like this. Doesn't pretty much any bike sitting on dual sport tires meet your requirements as a gravel bike? scfrank, Richy, neanderthal and 3 others like this. Hack'dTiger and DesertPilot like this. 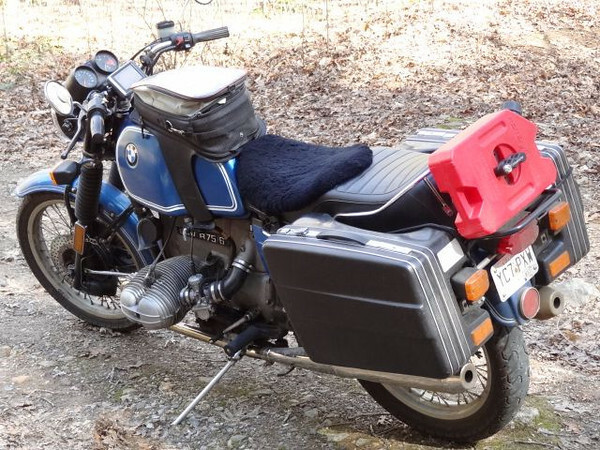 Older/high mileage DL650. They last forever, can be had incredibly cheap (often around $2K), and usually arrive well-farkled. Spoon on tires to taste and enjoy. andrewsw, REALGRAVEROBBER, Richy and 1 other person like this. I bought an FZ07 for exactly that. Put over 40k miles on it with about half that mileage being mixed route touring (forestry roads, WMA trails, Jeep Track , etc). Like a big super moto once setup right. Richy, High Country Herb, shinyribs and 2 others like this. Give the Scrambler a test ride! It might not be for you, but it's a fantastic bike for what it is. Although that Aprilia VERY likely has better suspension right out of the box. I love my Scrambler, ignore the "hipster" marketing, and just ride it. Huge selection of modifications and parts for it going in any direction. Want to make it more of a trail-beast? Plenty out there. Looking for a fun road bike? Lots of mods for that. Great pics! What have you done to it and what tires are you running? I love my Scrambler, ignore the "hipster" marketing, and just ride it. Richy, daveinva, DesertPilot and 1 other person like this. How about a Triumph scrambler? Classic Bonneville lines with an upswept exhaust and, iirc, longer suspension travel and more ground clearance. Plus the one in British racing green with the brown seat is just beautiful! BetterLateThanNever and JaySwear like this. +1 for the Triumph Scrambler. I'm very partial to the air cooled one, which mine (obvi) is. Gravel roads are part of every single ride, because of where I live. It does a dandy job, even on the steep stuff, thanks to a relatively grunty engine. I put some money into the suspension, which made it a pretty good all-rounder. It's the last bike I'll ever sell. The only thing I'd say is, invest in some kind of bash plate. You would be amazed at the cumulative damage gravel does. On both the bikes I have at the farm, the bash plates look like they've taken shotgun blasts. davidji and William Wolfen like this. Mods to it were : 1 1/8 bar risers, Protaper Evo ADV High bars , D-flex hand guards, Corbin seat , custom racks with sidecases , Phone and GPS mount. Tires were Shinko 705s. I've found them to be an extremely competent "all roads" tire. They take to off pavement stuff better than tires like the tkc 80 (a tire which I just can't stand. No idea why they are so popular. YMMV of course) and last much longer. They also handle fantastically in the twisties. Jimmy the Heater, Richy and bananu7 like this.